A Girl and Her eBooks: Justine: Into The Blood (Blood and Passion Book 1) by Carole Gill - $0.99 Goodie! 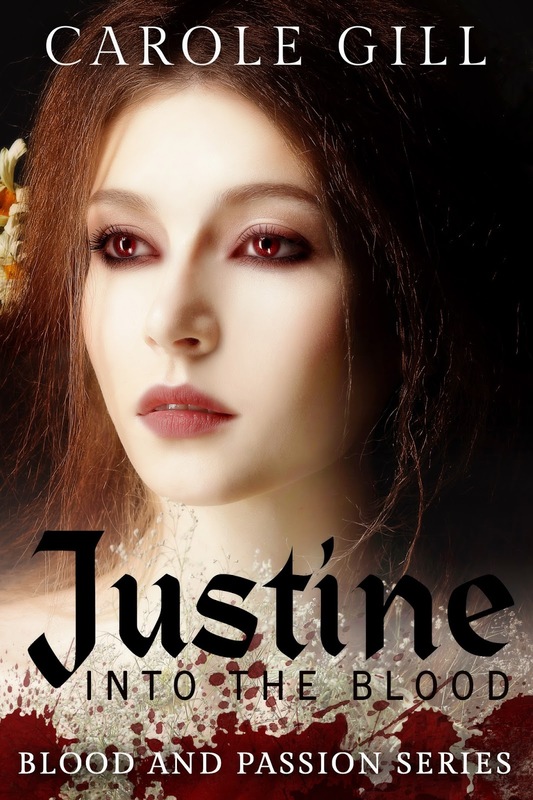 Justine: Into The Blood (Blood and Passion Book 1) by Carole Gill - $0.99 Goodie! Unkempt and dirty, I fit in with everyone I saw. And because I slept out, I looked rough. No one looked at me twice; they seemed too disgruntled and weary. There was little conversation, just movement—wagons and barrels being moved along. A coach was going up the street, quite a rich looking one at that. People just stopped what they were doing to stare at it with sullen faces— menacing and full of hatred. The driver looked keen to get away as quickly as possible. And when a wigged occupant called out to someone in the street to show him a ware they were hawking, he received no answer. “I'm speaking to you!” he cried. The crowd said nothing; a few began to move toward the coach. As they did, the wigged head vanished and the driver whipped the horses. “Faster, faster!” he cried. I thought of what the farmer had said and knew then, he was right. If this was summer, it was going to be very hot indeed. It was going to be as hot as the people of Paris wished it to be. An old woman gave me bread. It was stale and moldy but she meant well. “It is all I have,” she said. 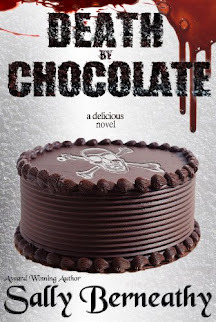 “But you look as though you need it.” I thanked her, shoving it into my mouth. It tasted good and I was grateful. I cried my thanks and ate it so quickly, I nearly choked. I walked, without any idea where I was going. Where I would sleep next I knew not; perhaps in an alley. Mobs of homeless could be seen all about, especially in alleys and side streets. When the sky darkened, I looked for a place to rest. One alley was as good as another. My need for sleep exceeded my caution. I lay down amongst a crowd of homeless. But when I was touched by two different men while I slept, I knew it was not safe. I shouted at them and they laughed. “Go to the palace then if you're too good for us,” one of them cried. I didn't answer; instead, I stumbled along, sleepily only wishing to rest. I chose the first place I came upon— an abandoned shop, stinking of the sourness of filth and decay. There were rats and mice and heaven knew what else, but other than that, no people to bother me. I would rest. Sleep came quickly— but so did the attack. Something bit the back of my neck. The pain was excruciating. My first thought was, I was being attacked by a dog. I tried to defend myself. That's when I heard the hissing. Frightened and in too much pain to think, I somehow managed to pull away . All I wanted to do was run from the beast. But then I was attacked again— this time from every direction. I fought hard but knew I was failing. A whole pack was attacking me, killing me. I felt myself growing weaker by the second. I could just see the beasts' outlines in the dim moonlight. Why didn't they look like dogs? Death was at hand. I felt it and I welcomed it. The pain passed through me while the life drained from me. I am dying. Then, just before everything grew black, I saw its eyes, the eyes of the one that had been the most voracious of all. They glowed yellow, like a wolf's. With that last thought, I died. The blackness turned to shadows and from within those shadows, I saw figures. They might have been my parents. I called out to them but then felt myself drifting away— slowly at first, then more quickly. I clearly heard the shouts and cries of the damned. Was I bound for hell? I don't think I cared. And then I heard a voice; quite distinct it was, too. Someone was calling me forth. “Rise!” A man's voice, rich and deep sounding. I opened my mouth to receive his blood and become what he wished me to be. What it was my destiny to become— a Vampire, a blood-imbibing creature of the night, a cursed being condemned to feed like the Vampire bat. I would call shadows home, along with night. Sun would become my enemy. I had visions of people I neither knew nor recognized. They weren't my memories, of that I was certain. I had passed into the blood. The being that once was Justine Bodeau had ceased to exist. In her place stood a raging Vampire. Wantonness and hatred replaced my soul. Whatever I had been, I would be no more. They say I slept for days; not sleep as I had known it but the deep, nearly fathomless sleep of the Vampire. When I woke, I was alone but for a man sitting near me. As he had his back to me, I could not see his face. He turned suddenly, as if he sensed me looking at him. He was the man whose blood I had drunk. “I am Gascoyne,” he said. “I am called the Vampire Prince of Paris.” When I made no reply, he asked me my name. “I am called Justine,” was my reply.